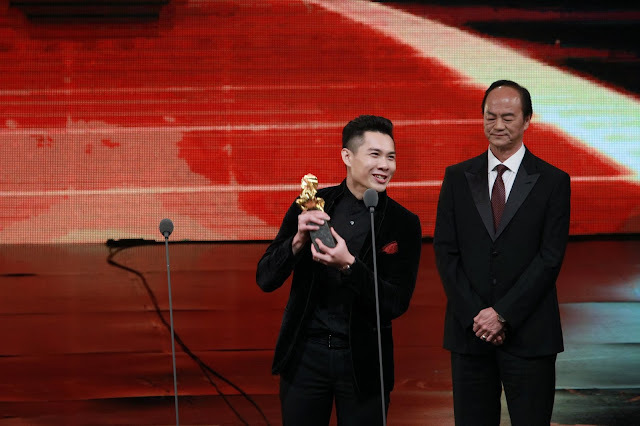 Anthony Chen’s Ilo Ilo scooped unprecedented wins for a Singaporean movie in Best Feature Film, Best New Director, Best Original Screenplay and Best Supporting Actress (for Yeo Yann Yann) at the 50th Golden Horse Awards this past week. 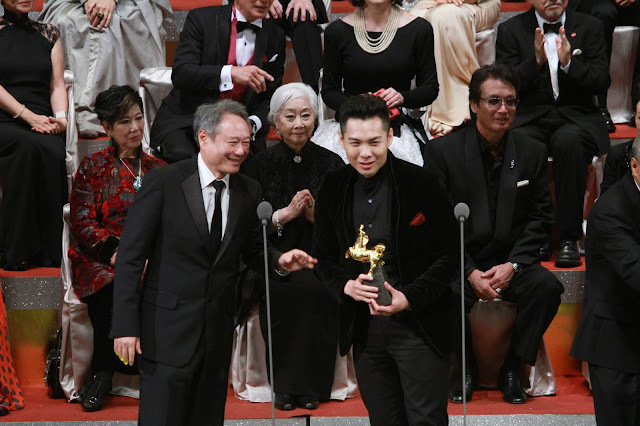 (It was also nominated for Best Supporting Actor for Chen Tianwen and Best Newcomer for Koh Jiale.) This adds a major awards haul to the film’s fêted win of the Caméra d’Or prize at Cannes this May, putting it on track to be Singapore’s first nomination for Foreign Language Film at the upcoming 86th Academy Awards. These wins are no accident. Setting aside debates over what counts as “best”, Ilo Ilo is perhaps the most economical, understated and yet unpretentious feature film to have emerged from Singapore’s post-independence movie scene. These traits make the film a far more award-friendly bet internationally than others of its festival ilk. In an extended-family reunion scene in the movie, Chen Tianwen’s character waves off concern over his son’s bandaged arm with an “Oh, it’s nothing—he was simply knocked down by a car.” This brief line of dialogue is emblematic of Anthony Chen’s approach to the whole screenplay, which tends to downplay the significance of distressing events, and even has a casually humorous self-awareness about the extent of that downplaying. This bent towards understatement fits perfectly with the movie’s study of the ordinary lives of a Singaporean Chinese middle-class family and their Filipino domestic worker, amidst the backdrop of late 1990s economic recession, dual-income households, diasporic labour, and a generational shift in national language policies. I have never seen a Singaporean film better capture the ways that each family member (including Angela Bayani’s Filipino character) tries to avoid bringing up things that might cause greater stress to the others, or that might spark an argument they cannot bear to have. It is anti-melodrama of the best kind: a pitch-perfect blend of the kinds of endurance, ineloquence, mutual protection and conflict avoidance that can be said to characterise the dynamics among traditional Chinese-educated middle-class parents, their English-speaking latchkey children, and the foreign workers who straddle the line between substitute mother and hired help. As the mother in the family, Yeo Yann Yann’s character has the thankless job of laying down the law where necessary, while giving in to her husband’s bruised ego and her son’s wilfulness without taking the naggy matriarch-from-hell route. Twice, when confronted with a confession from her husband, she opts for a quiet simmering over volcanic flaring. The movie’s bluntest misstep might be saddling her with a subplot to prove her fallible too, but even in dealing with the aftermath, the movie shows off its consummate restraint and tenderness. It hides her tearful shellshock behind a facial mask, and even proceeds to watch her pull through as her husband gently drops another confession into her lap. Abetted throughout by Chen’s sensitive writing and direction, Yeo tackles her scenes with a weary watchfulness, always maintaining a tricky balance between steely and resigned. The other quiet heavyweight in the cast is Bayani’s Terry, whom Chen has the good sense not to recast as a saint or martyr, as other Singaporean foreign-worker films might be wont to do. Instead, he and Bayani imbue Terry with a sense of humor, some minor failings, an unfaltering intelligence, and a quietly principled way of not (literally) telling mum even when she isn’t in the wrong. Her discreet firmness with the boy Jia Ler (played by Koh Jiale), and their light-hearted chemistry together, contribute some of the movie’s loveliest scenes, and anchors its eventual heart-aching conclusion. This generous showcasing of Terry in different moods reflects a strength of the movie in general, which never settles itself or its characters into a flatly sombre (or didactic) tone. Given these maternal impulses of emotional generosity and restraint, I was not surprised to find Ilo Ilo so well received by a Golden Horse jury presided over by Ang Lee, a director who cut his teeth on drama-infused genre experiments that ceded far more emotional space to their women than those genres usually do, and even extended that gesture to its men (see, for example, his internationally acclaimed Crouching Tiger Hidden Dragon, Brokeback Mountain, and Lust Caution). The influence of Ang’s work and that of other Taiwanese New Wave filmmakers is evident in Chen’s movie, but so are the humble aesthetics and emotional sweetness of a Yasmin Ahmad. Ilo Ilo is proof that a Singaporean filmmaker like Chen can take these gifts for sensitivity, emotional complexity, light comic touches, and trust in film audiences’ intelligence and let them bloom in a full-length feature. Sure, the movie doesn’t quite boast a jaw-dropping visual shot like the one in Chen’s masterful 2010 short film Lighthouse, in which a car chases a cloud’s shadow as quickly as the latter recedes from a wheat field. But Chen is only 29 years old. There is a world ahead, and time.